Virtually frame an image in less than two minutes! Enter a product code. Then specify the borders. You can add up to four mounts and slips. Graphic representation of your visual. Enter a product code or click search. You can add up to three frames. Scroll through the interior pictures and click on preferred image to select it. You can resize the visual by clicking on its corner and you can drag it into position. So, what else can I do with my creation? Add the visual to a gallery. Add new galleries. Rename and delete galleries. Add a title and note. Visualise a gallery item. Move and delete items. Download your visual to your PC as a jpeg image. If the image has a title and note you can choose to print them. Choose to print the list of products which makes up your visual. Choose whether to show the Mainline header. Send to several people at once. If the image has a title and note you can choose to send them. Share your visuals with colleagues and friends on Facebook, Twitter and Google+. That's the end of the Frame Visualiser tour! Please ensure that you are using an up-to-date web browser. Mozilla Firefox or Google Chrome are the preferred browsers. If you use Internet Explorer then you must use version 9 or higher. The maximum size for uploaded pictures is 3MB. All uploaded pictures will be resized to approximately 50kB so it is best to upload images which are no bigger than 100kB as these will upload quickly. There is no benefit in uploading a larger file. 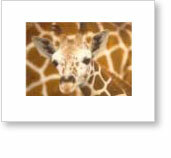 The visual will appear once you've added a frame, although you can add a picture, mounts and frames in any order. You do not have to upload a picture; you can just view frame and mount combinations on their own. If you wish to browse for products to use in your visual, then it is best to have the Visualiser open in one browser tab and then open a second tab to use for search purposes. You can, of course, also search for mouldings directly from the Visualiser by clicking on the search icon. It is best not to have two Visualiser tabs or windows open at the same time as this may produce unexpected results. Try to avoid using the browser back button to return to the Visualiser, particularly when searching for a product from the Visualiser. You should either click a on the search page to add the product into your visual or click the Cancel button in the panel at the top right to return to the Visualiser without adding a product. If you are browsing the website normally and click on a on a moulding you will be taken to the Visualiser with that moulding built into a frame. You can then change the size and add a picture, mounts and more frames if you wish. Please respect copyright on all material which you upload to use with the Visualiser. Mainline Mouldings accepts no responsibilty for breaches of copyright brought about by your use of this application. There are no competitions running at the moment. Please keep an eye on the website homepage and sign up for our email newsletters to find out about the next one. All of our competitions are now past their closing date but more will be coming up very soon! Please ensure that the image which you are uploading meets the following specification. File size: the image should be no bigger than 3 Megabytes. For optimum speed please make your file less than 100kB. File format: the image should be a jpeg file. If you try to upload a larger file it will take a long time and will not improve the quality of your final visual. If the photograph which you have uploaded includes a white paper border around the image then measure the width including the white border. 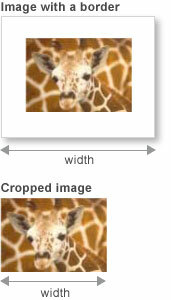 If your uploaded image is cropped to the image area then enter the width of the image. It is important to enter an accurate width as the proportions of the products used in your frame are calculated based on this. If you are framing a print which has a white border around the image area and you wish to show some of that border then specify the amount to show here. Download this visual to your computer. There is no visual to download. There is no visual to print. Please build a visual or choose one from one of your galleries.